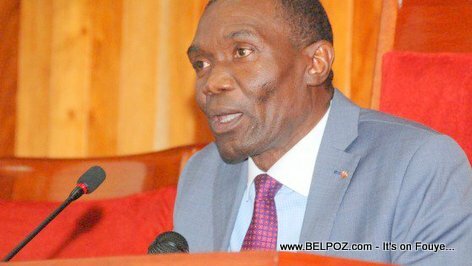 Haiti - Senator Joseph Lambert - Who is Joseph Lambert? Here is a photo of Haitian Senator Joseph Lambert presiding over the Senate. Joseph Lambert is an agronomist, graduate of the Faculté d'Agronomie de Damien and former director of the Ecole Moyenne de l'Agriculture. Joseph Lamber loves politics. He tried and faild many times but he tried again. Lambert is a former Depute of the 45th législature. After being depute, he became an ASEC for the communal section of Cap-Rouge before being elected Senator of the Republic in 2006 under the banner of his new Political party Konbit Sidès. He was reelected Senator again in 2015 and his political party became known as Konbit National. Joseph Lambert became the president of the Senate both times that he was elected Senator.